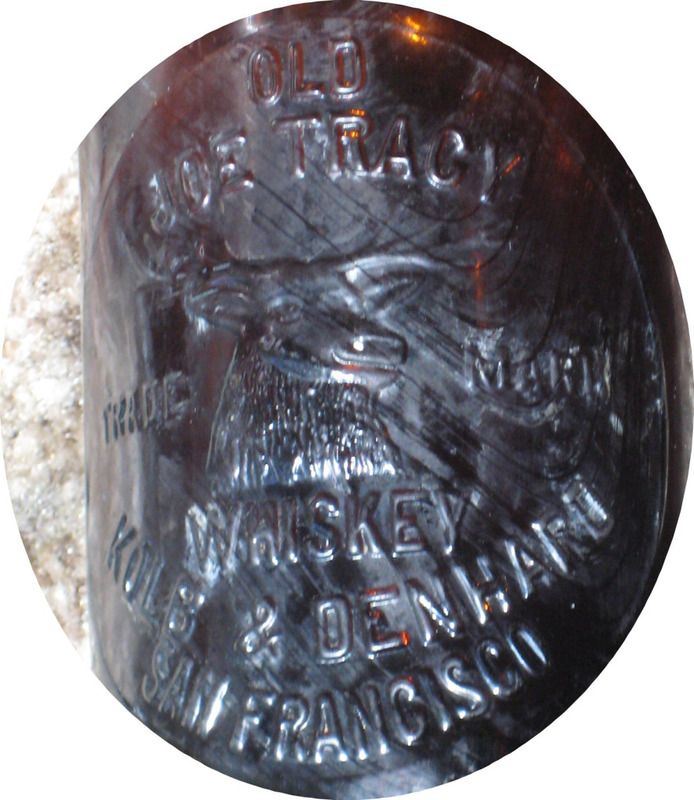 Western Whiskey Gazette (WWG): All this, and free shipping too! All this, and free shipping too! I guess nothing should surprise me any more. Still, every once in a while even I get caught off guard. Such was the case this morning. I got a call from a fellow collector who couldn't wait to share what he'd seen on a certain online auction site. 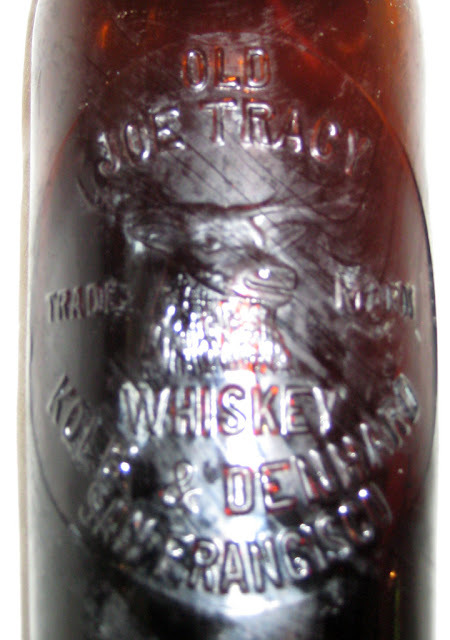 Although the listing was totally void of description, the less than detailed photos appeared to picture a stained, etched, and dinged up example of an Old Joe Tracy tooled picture whiskey. Admittedly rare, I still couldn't help but chuckle over the enthusiastic verbiage. That's right folks; you get stain, etch, dings, $200~ in ebay bucks and free postage too! All for the paltry some of $125,000~. A couple of Tracys have been dug in recent years, neither of which brought more than 1/50th of his SWAG BIN price. He is a COIN dealer, after all, so is probably the victim of bad info from an "overly enthusiastic" consignor. Interestingly, he is in complete denial concerning the existence of any other Joe Tracy fifths. He claims that ALL claims of another being seen are "debunked" and that his is the "ONE AND ONLY MINT-10" bottle known. His claims of "great interest" in his bottle are not in evidence in the auction, though. C'mon, be brave buckaroos, cough up the 125Gs and give the poor guy a needed break. HAR! I have just made an offer of 100 dollars. I don't expect an answer. 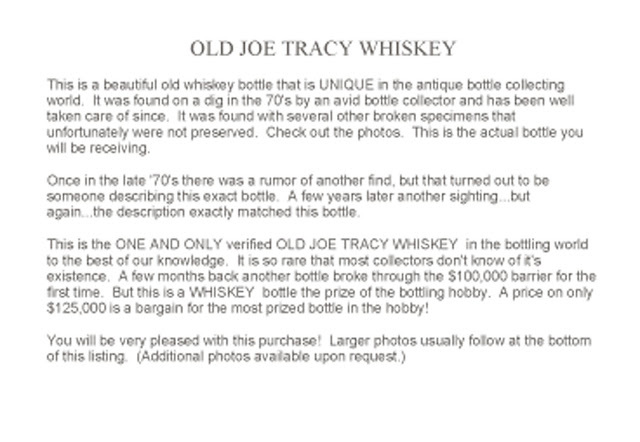 It was mostly to point out the absurdity of asking 25,000.00 for that mess of a bottle. By the way, it's hard to tell for sure but the top looks chipped up as well. Yeah, it's real "whiz-bang" of a bottle. I'd sure's hell not want to buy any coins from that dude if his idea of a Mint-10 is indicated by that beater.